Times Square in New York is one of the most popular attractions visited by tourist from all over the world. This intersection, situated in Midtown Manhattan at the junction of Broadway and Seventh Avenue, is sometimes referred to as "The Crossroads" or "The Heart of the World", and even "The Centre of the Universe". 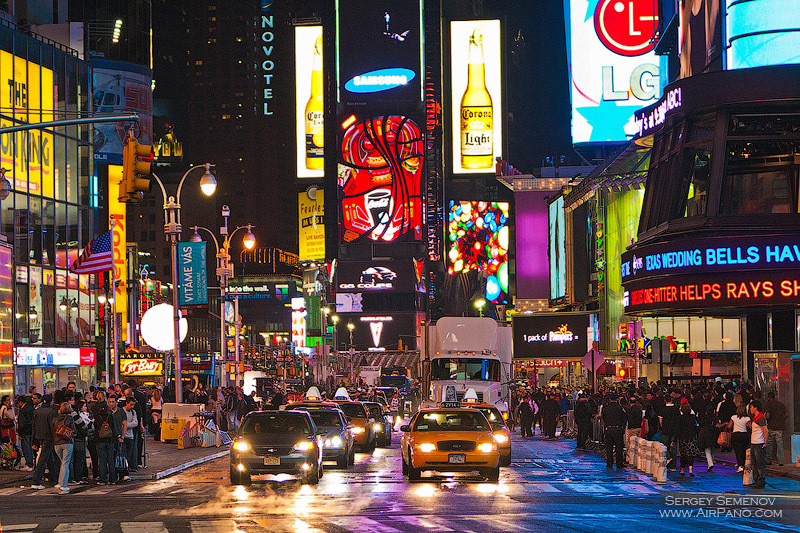 The number of people passing through Times Square daily varies between 330 and 460 thousand. Meanwhile the annual number of visitors is estimated to be around fifty million people. This is the busiest and most vivid place of the city: parades, festivals and concerts take place here; one can also witness huge screens on buildings broadcasting different TV-shows. Every New Year's Eve a huge crystal ball situated on a pole top of a special building is being lowered down from the height of 23 meters and marks the start of a new year. A crowd of one million people comes to Times Square to see this incredible celebrations. However, for the millennium celebration on 1 January 2000, a record of two million people was reported. Times Square is also famous for its Broadway theatres, skyscrapers, bright shop windows, huge screens with news crawls, as well as the flamboyant billboards and lights (the concentration of neon signs is practically the same as in Las Vegas). 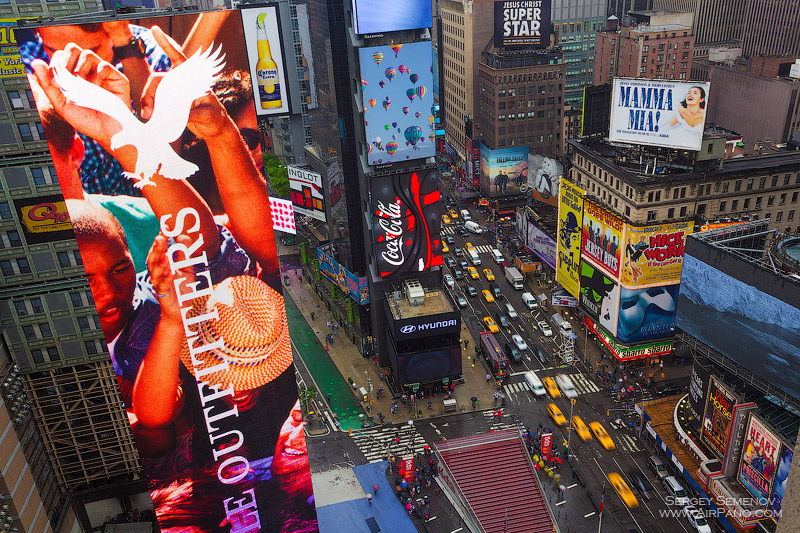 Times Square is more than just a square — it is a cultural phenomenon, the symbol of New York and the whole country. Add your review about "Times Square, New York, USA"